For the 2017 season, Fabric have upped their game and created an extensive range that extends to every discipline of cycling. Let us take you through the fantastic range of Fabric products that we have for the autumn/winter season. Fabric lights combined sleek deign, high performance and durability. As you would expect from a company like Fabric, their lights are packed innovative and exciting features such as Get Home Safe LED, high speed USB charging, brightness control and burn time indicator are features across their new range. The compact, reliable, USB rechargeable rear unit, uses Kinetic technology that works as a brake light. Fitted with an acceleration sensor, when deceleration is detected the light brightens simulating a brake light, warning all traffic you are stopping. 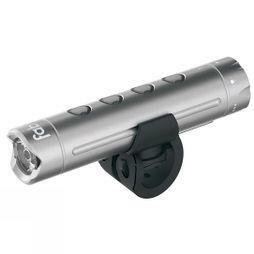 A high quality aluminium, 150 Lumens, USB rechargeable front light with Get Home Safe LED, that allows cyclists to use it as a rear light using an additional strip of red LEDs down the side. 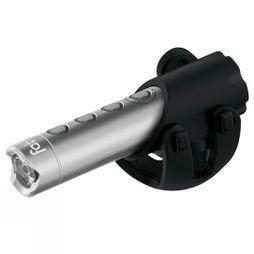 A sleek aluminium design with a high quality 300 lumens USB rechargeable front light. Similar to the FL150, it features the same Get Home Safe LED system with the addition of a unique function dial making mode switching easy. The Fabric brand was born to further the success of the Scoop saddle, originally created under the Charge brand. The saddle range has been developed for the 2017 season and now includes extensive choice for the needs of every cyclist out there and to suit a wide range of budgets. 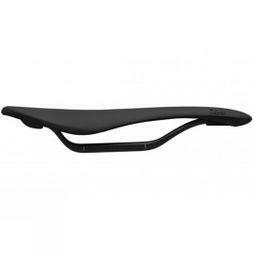 With a focus on multi-discipline use, the Scoop Race saddle provides great flexibility to produce an ergonomic feel for a fast and comfortable ride. Featuring all the great elements that we’ve have become accustomed to from Fabric including titanium rails and a durable waterproof microfiber cover. 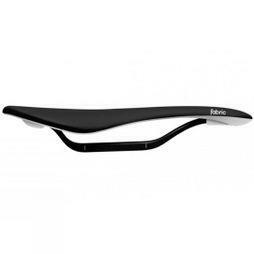 The Scoop Race also is available in three saddle profiles to suit the needs of the cyclist. Combining all the great aspects of the Scoop Race saddle, the Scoop Pro Saddle adds carbon rails meaning a lighter weight saddle is produced. Fabric wanted to push the boundaries with the ALM saddle by using cutting edge technologies to create a saddle that encapsulates the brands design and forward thinking philosophy. The ALM has been engineered in conjunction with aviation gurus Airbus Group Innovation to create a truly unique saddle. Functionality, reliability and durability is what the Fabric tools are built upon. 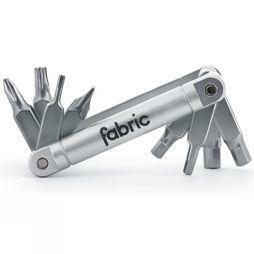 This year Fabric has added to their Chamber multi tool with more traditional looking multi tools, all of which are lightweight, portable and desirable multi tools for when you are on the move or in the workshop. The 13 function, reversible chamber ratchet tool is a perfect balance of form and functionality. Weighing as little as 168g, it is easily slipped away into a jersey pocket of saddle bag. The 13 tools in the chamber come in the form of six double ended bits and an 8mm oversized bit for pedal installation and removal. This tool has everything you need to make a few tweak mid ride. A classic portable, yet durable multi tool, perfect for repairs on the go. The rounded side tool fits perfectly in your hand for maximum comfort. You'll never get caught out mid ride with the Eight Tool, that consists of 5 hex keys from 2, 3, 4, 5, and 6mm PH2 phillips head, SL5 flat head and T25 torque key. 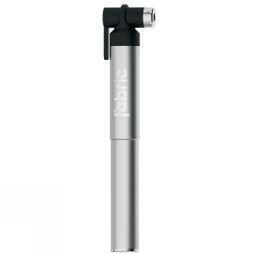 This year sees Fabric launch a new range of stunningly crafted yet functional hand pumps. Unique touches such as ‘head to hose’ system on all mini pumps keep the units sleek and uncluttered when store however superbly practical and easy to use. A compact, portable light weight hand pump that features a smart head, tackles presta and Schrader valves with ease. The superb aluminium body is small enough to be secured on a frame, or away in a jersey pocket. The taller R200 features a higher volume cylinder to ensure easy and rapid inflation when out on a ride. 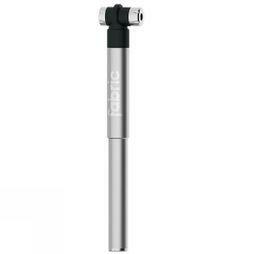 The hand pump offers the same lightweight aluminium body with the 2 in 1 smart head system. The M200 mountain bike pump is easily stowed away in a bag or secured to a frame. The lightweight aluminium body is durable, whilst looking and feeling fantastic. A presta and Schrader level active smart head extends on a rubber hose for ease of use. Innovation, uniqueness and functionality three words that perfectly epitomise the Fabric brand ethos and their mission to create products for the discerning, modern cyclist. Their forward thinking approach and tenacious attitude to testing and improving their design have enabled them to produce a range of pioneering products. Having created award winning saddles for some years now, Fabric have extended their range into lights, multi-tools, pumps and water bottles.